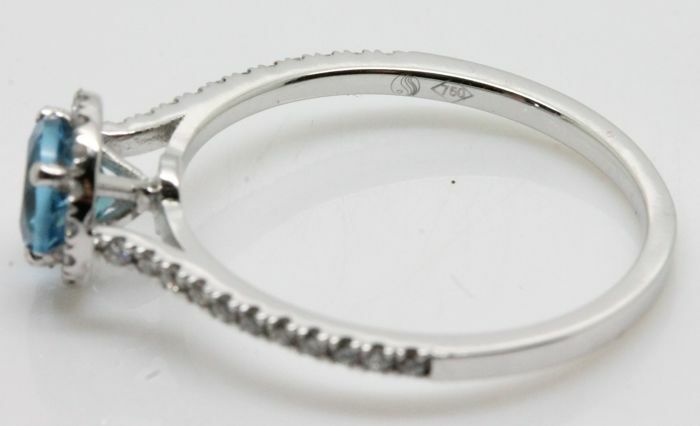 One 18K White Gold Ring, Hallmarked 750. 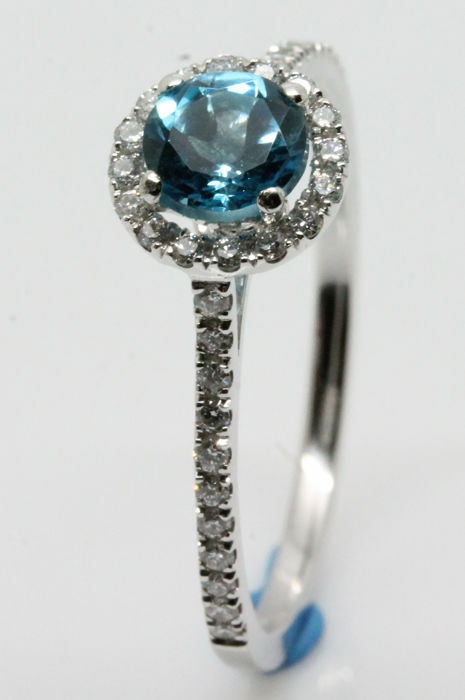 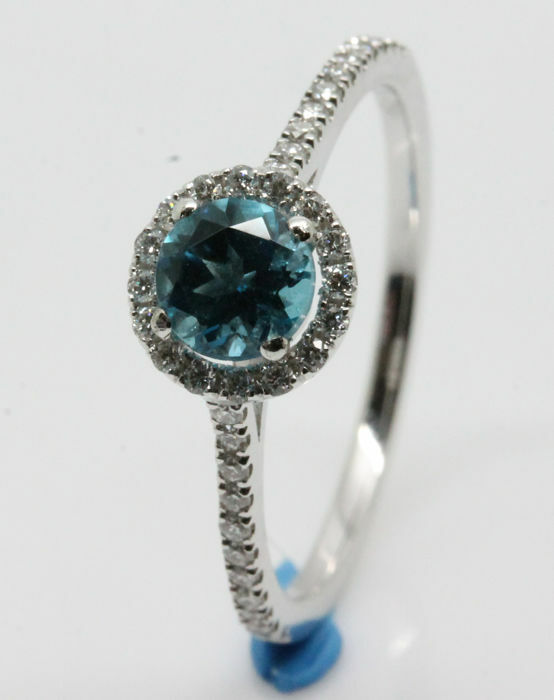 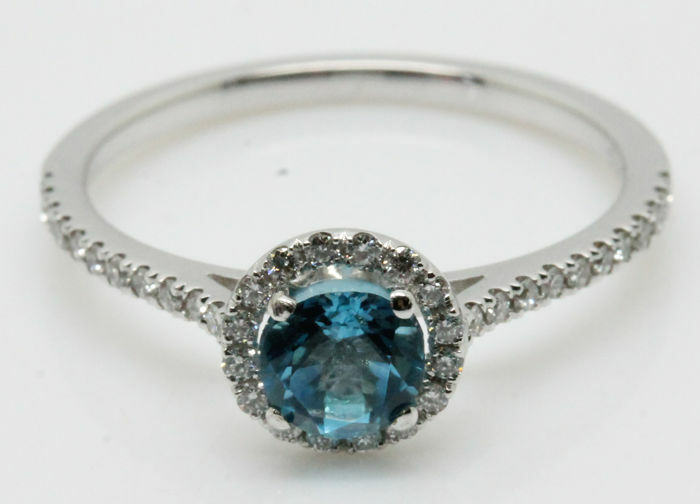 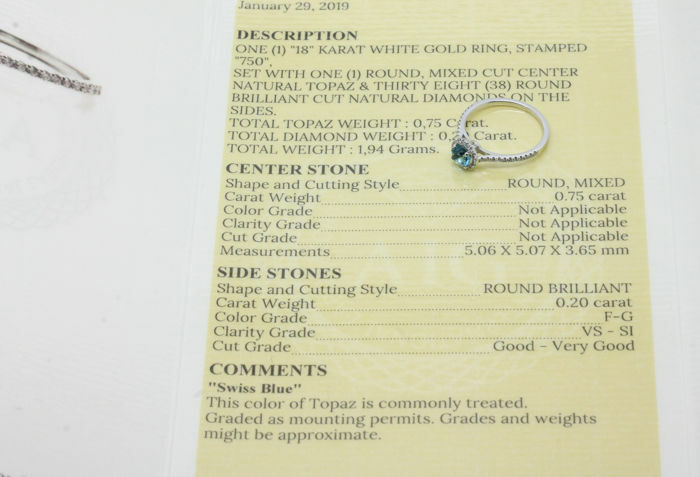 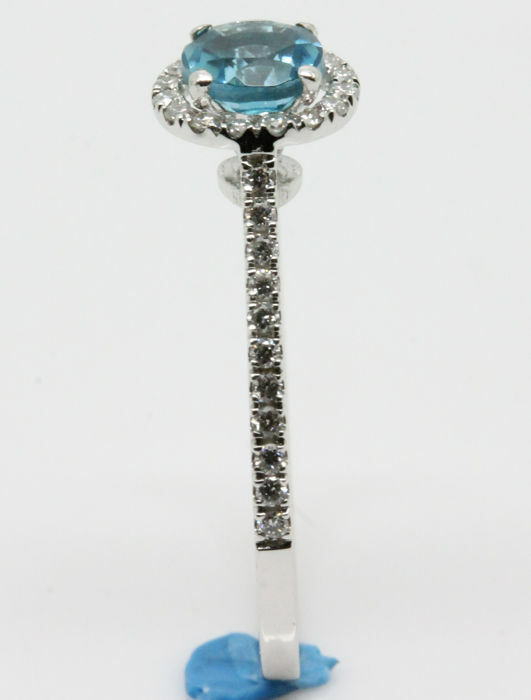 The ring is set with 1 Natural Topaz and 38 Round Brillant Cut Natural Diamonds. 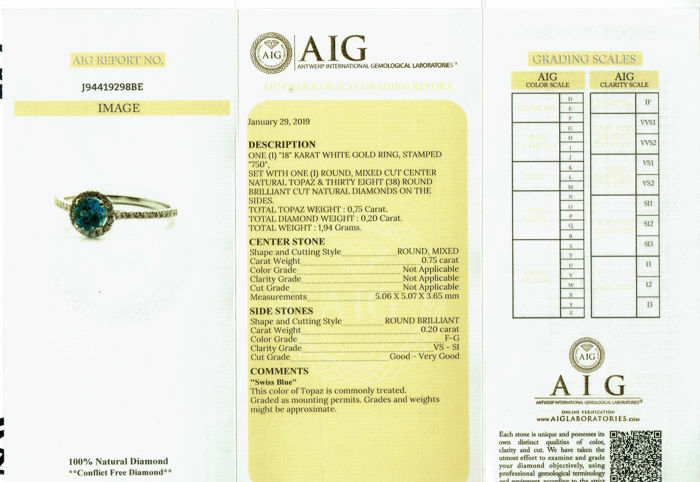 Shape and Cut: Round, Mxed Cut. 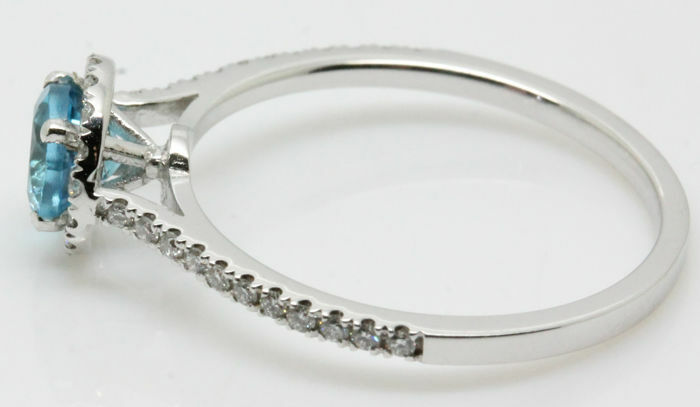 Shape and Cut: Round Brillant Cut. 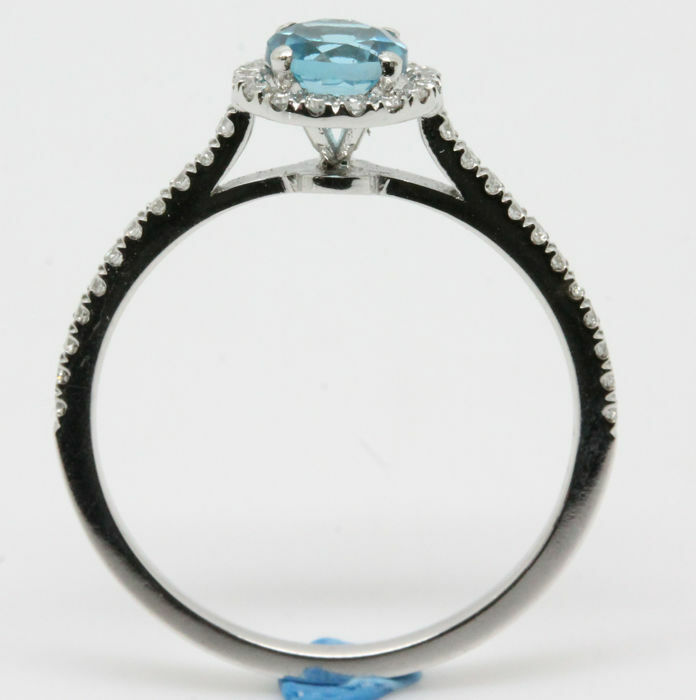 Ringsize can easily be adjusted by your local Jeweller. 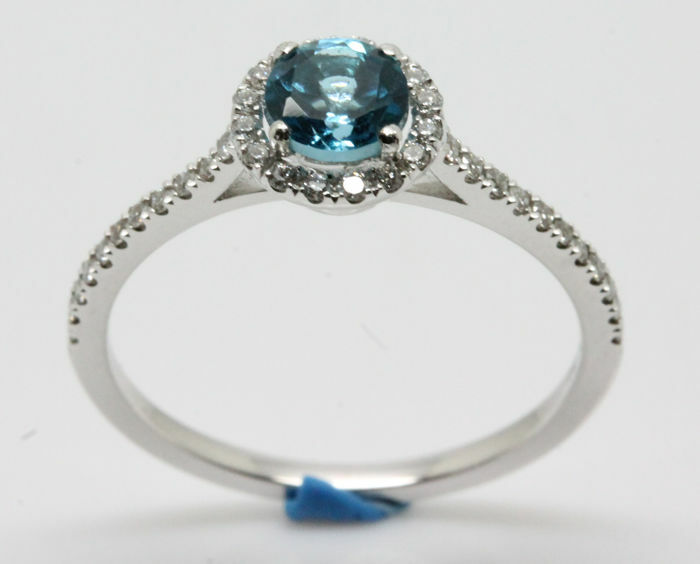 Shipping will be done fully insured and registed.